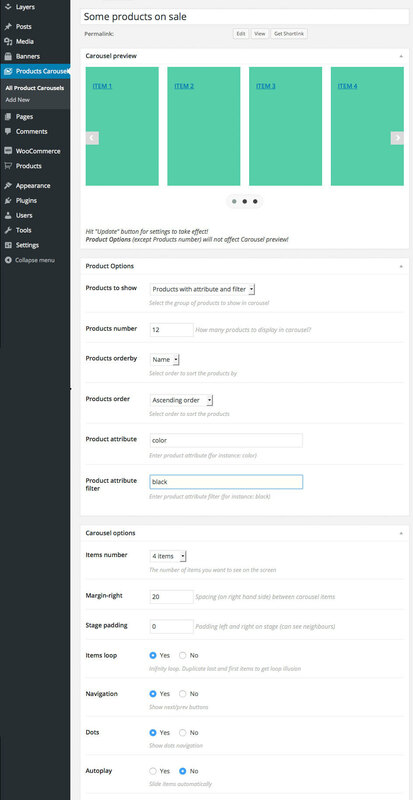 Tolle is clear, easy to customize e-commerce theme built around the famous WooCommerce plugin and rock solid Layers site builder. There’s no place for confusing design options and hundreds of useless features here. It’s all about simplicity and clearance! And no professionals needed coz everyone can use Customizer’s innovative design interface to build cool pages. It doesn’t matter whether you are about to build clothing, apparel, fashion store or a mall shop. 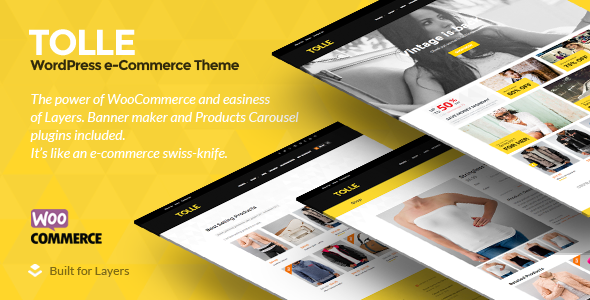 This theme fits all – from large to small scale web shops. I’m sure you gonna enjoy it! Please note that theme’s demo file (.xml) does not include product images. They will be replaced with placeholder photos! All trademarks, service marks, trade names, trade dress, product names and logos appearing on theme’s demo site are the property of their respective owners. 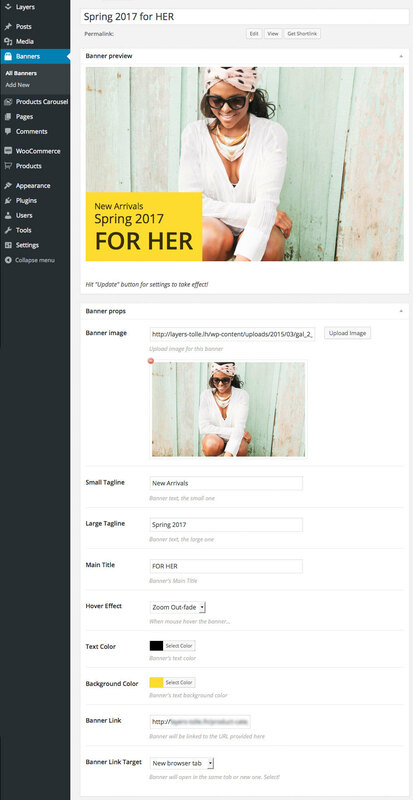 Don’t forget to visit Layers WordPress site builder and learn more about this wonderful tool! Please update "layerswp-tolle" child theme!